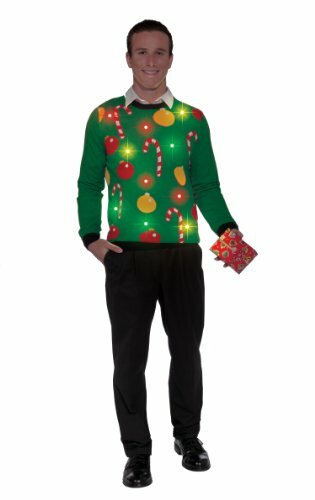 Pay tribute to Christmas past in our throwback holiday sweater, designed for laughs and merriment. Great for Christmas parties, white elephant and secret Santa exchanges. Forum novelties has been a leader in the Halloween industry, as well as the joke, trick, magic, and novelty gift item business for more than 30 years. We carry over 8,000 items, including a variety of costume choices for every age, ranging from baby costumes to adult and plus-sizes. Look to forum novelties for all of your Halloween, luau, Christmas, mardi gras, and St. Patrick’s day supplies. From funny to frightening, forum has it all!